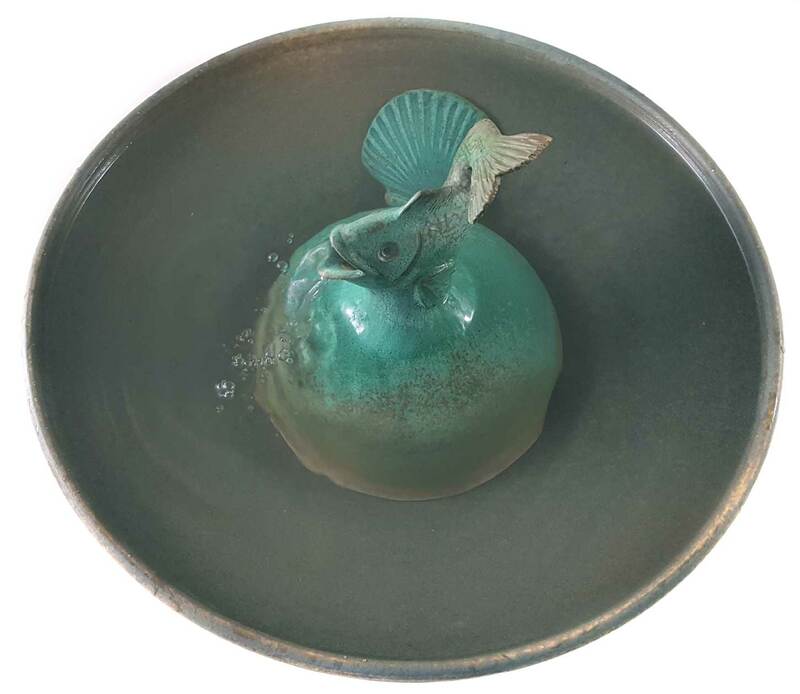 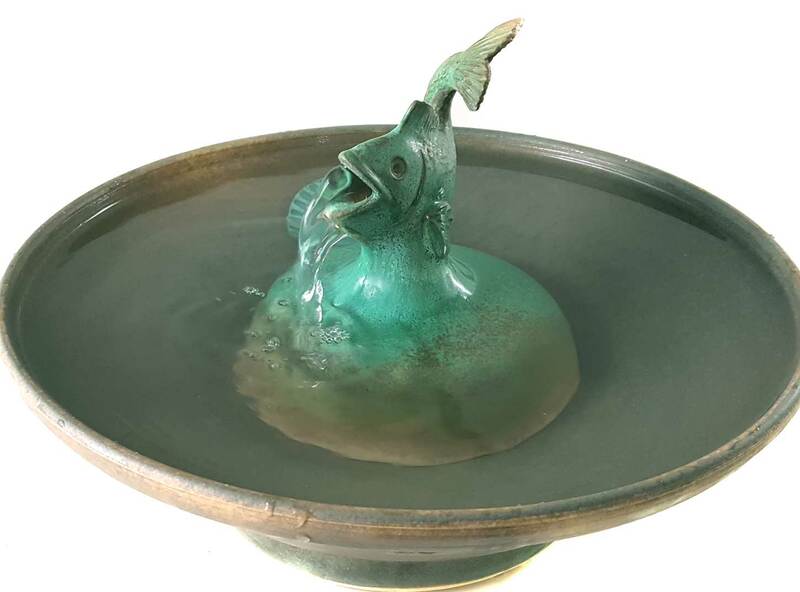 A cat fountain with an exquisitely hand sculpted fish which delivers a stream of water into the fountain bowl with a satisfying flow and no splash. Simply place the Flying fish center piece over the pump, fill with water and plug it in. The glaze is Weathered Green – a matte glaze with bronze overtones. 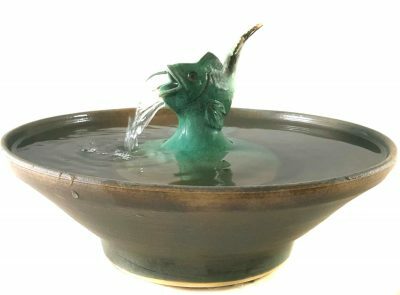 A wonderful fountain for home decor and an effective and enticing cat fountain. 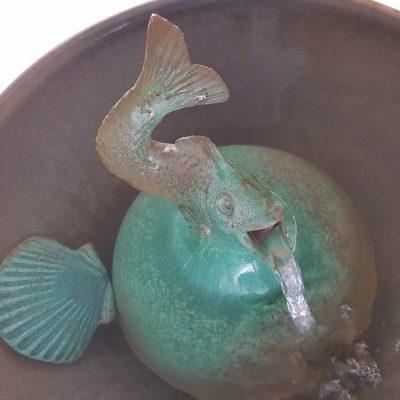 Bear in mind, this is handmade, not mass produced mold made.